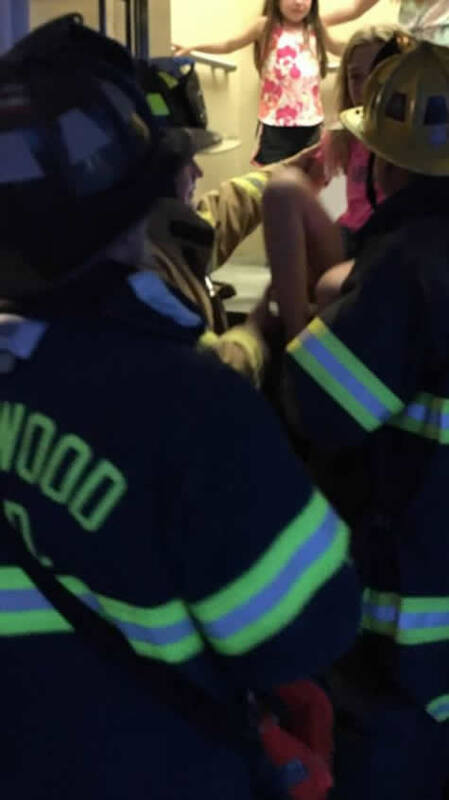 On Thursday, July 13, 2017 at approximately 8:15 PM the Wildwood City Fire Department responded to 4901 Susquehanna Avenue for an elevator assignment. 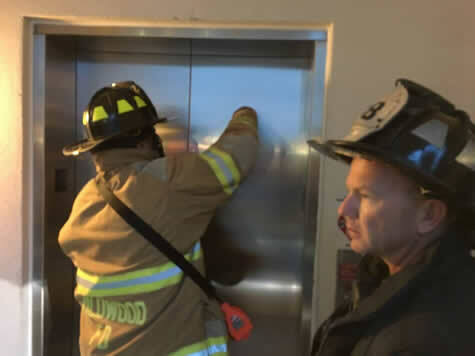 Quint Co. 3 (C Platoon), under the command of Captain James Grauel, along with North Wildwood FD Quint Co. 2 (C Platoon), under the command of Captain Josh Carter, arrived and discovered an elevator stalled between the 3rd and 4th floor. Four children between the ages of 5-10 were stuck in the elevator. 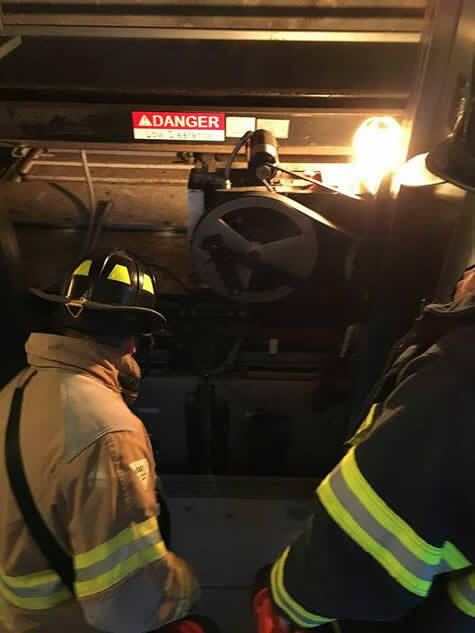 Firefighter’s secured power to the elevator, preventing it from moving, gained access into the hoist-way and began the removal of the four occupants. All the occupants were removed safely and returned to family members present on scene. The elevator was secured until the elevator company was able to respond to make the necessary repairs.